With technology evolving everyday, it's become a sad life for a vinyl record. 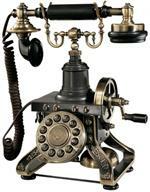 Once ahead of its time with new, amazing sound... now tossed aside in dusty boxes, basements and attics in favor of cold, shiny metallic discs and insensitive plastic hand-held devices. Is that the treatment a true audio pioneer deserves? 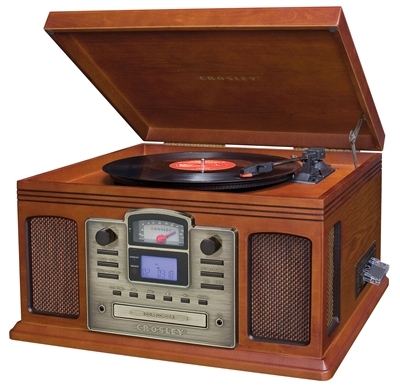 Don't let your mistreated vinyl slowly fade away - revive it digitally with the Crosley Archiver USB Turntable. Simply connect your PC with the provided USB cable and install the included software to rip and edit your vinyl directly to digital audio format for playback on all your cutting edge devices. Users will appreciate three playing speeds (33-1/3, 45, and 78 rpm) so you can play and transfer your entire collection. Utilize this device to spin records, play cassettes and CDs, or tune in your favorite station on the analog AM/FM tuner.